President Donald J. Trump on Friday. WASHINGTON — At the State Department, the normally pulsating hub of executive offices is hushed and virtually empty. At the Pentagon, military missions in some of the world’s most troubled places are being run by a defense secretary who has none of his top team in place. And at departments like Treasury, Commerce and Health and Human Services, many senior posts remain vacant even as the agencies have been handed enormous tasks like remaking the nation’s health insurance system. From the moment he was sworn in, President Donald Trump faced a personnel crisis, starting virtually from scratch in lining up senior leaders for his administration. 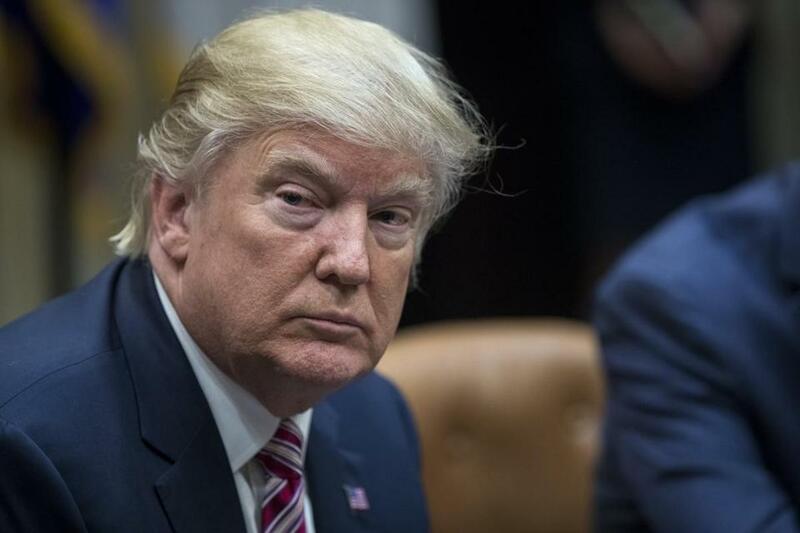 Seven weeks into the job, he is still hobbled by the slow start, months behind where experts in both parties, even some inside his administration, say he should be. The lag has left critical power centers in his government devoid of leadership as he struggles to advance policy priorities on issues like health care, taxes, trade and environmental regulation. Many federal agencies and offices are in states of suspended animation, their career civil servants answering to temporary bosses whose influence and staying power are unclear, and who are sometimes awaiting policy direction from appointees whose arrival may be weeks or months away. But the president has not proposed any plan for trimming crucial senior positions, and a White House spokeswoman, Lindsay E. Walters, said he planned to fill them eventually. Trump’s personnel problems are rooted in a dysfunctional transition effort that left him without a pool of nominees-in-waiting who had been screened for security and financial problems and were ready to be named on Day 1. In the weeks since, the problem has been compounded by roadblocks of his own making: a loyalty test that in some cases has eliminated qualified candidates, a five-year lobbying ban that has discouraged some of the most sought-after potential appointees, and a general sense of upheaval at the White House that has repelled many others. Officials involved in and briefed on the situation described it on the condition of anonymity, unwilling to be quoted disparaging Trump or his administration. But the numbers paint an unmistakable picture. While Trump has won confirmation of 18 members of his Cabinet, he has not nominated anyone for more than 500 other vital posts and has fallen behind his predecessors in filling the important second- and third-tier positions that carry out most of the government’s crucial daily functions. As of Sunday, he had sent to the Senate 36 nominations for critical positions, about half the 70 sent by President Barack Obama, who was also criticized for early delays, at the same point in 2009, according to figures compiled by the nonpartisan Center for Presidential Transition at the Partnership for Public Service. In the vast majority of cases, Trump’s administration has not even begun the lengthy screening process — which can take from several weeks to two months — that nominees must undergo before their confirmations can be considered by the Senate. According to data obtained by The New York Times, the Office of Government Ethics, the independent agency that conducts financial reviews of every presidential nominee, had received only 63 disclosure reports for prospective Trump administration nominees as of March 5, less than a third of the 228 that Obama’s team had submitted by that date in 2009. At the State Department, both deputy-level jobs remain unfilled, along with the posts of six undersecretaries and 22 assistant secretaries. At the Treasury Department, Trump has yet to name a deputy secretary, general counsel or chief financial officer, or any of the three undersecretaries and nine assistant secretaries. At the Department of Homeland Security, one of three agencies for which the president has nominated a deputy, he has yet to name any of the four undersecretaries, three assistant secretaries or other crucial players like a chief of Citizenship and Immigration Services or a commissioner of Customs and Border Protection. Walters, the White House spokeswoman, denied any substantial delay in staffing the government, saying that “there is no holdup.” But she added that the administration was screening a large pool of prospective nominees — a senior White House official put the number at about 130 — whom it would soon name for crucial positions. The official, who spoke on the condition of anonymity because he was not authorized to detail internal deliberations, said that since Inauguration Day, the White House had set a pace for filling positions that rivaled the rate of previous administrations and was moving as quickly as the meticulous personnel process would allow. Trump’s presidential campaign was a compact operation, so he did not have the potentially thousands of political aides that other new presidents have rewarded with plum jobs, the official added. The staffing delays appear to reflect Trump’s lack of experience in government and his deep suspicion of anyone with such a background — two significant factors in his flawed transition. Another challenge has been the president’s attempt to apply to the sprawling federal bureaucracy the same mode of leadership he has used for decades in his business, where he placed exclusive trust in a small, insular team. The lag could also undercut Trump’s global influence. When trade ministers of Pacific Rim nations, including China, meet this week in Chile, the United States will be represented by the U.S. ambassador to Chile, Carol Z. Perez, a career diplomat, because no trade official has been confirmed. At the Pentagon, Defense Secretary Jim Mattis is overseeing missions in Iraq, Afghanistan and Yemen without his own leadership team. Some nominees, including billionaire Vincent Viola, Trump’s choice for Army secretary, had to withdraw because background checks — which would normally have been completed weeks earlier — revealed insurmountable problems, like financial entanglements. That has left Mattis to rely on holdovers like Robert O. Work, the deputy defense secretary under Obama, and senior civil servants. “He is really missing three to four levels of his leadership team,” said Michèle Flournoy, the undersecretary of defense for policy under Obama, who said she had removed herself from consideration to be Mattis’ deputy because she did not agree with the new administration’s values and policy direction. “The White House personnel system has really put an emphasis on loyalty to Trump, and they have ruled out anyone who said anything bad about him.” Steven T. Mnuchin, the Treasury secretary, identified potential nominees for senior posts early on, including Jim Donovan, a Goldman Sachs executive, whom he wants to be his deputy. But one official close to the process said the White House had hesitated over the political risk of bringing another alumnus of the investment bank into an administration that has styled itself a champion of blue-collar Americans. A nomination probably remains weeks away, according to another person familiar with the situation. At the Environmental Protection Agency, Scott Pruitt, the administrator, was confirmed by the Senate last month, and he has hired a chief of staff and a few others. But the White House has yet to nominate anyone to fill another dozen key jobs requiring Senate confirmation, like the assistant administrators who oversee clean air and water regulation. Those offices sit empty even as Trump says he wants the EPA to start rolling back several major Obama-era regulations, including a rule on water pollution. “It will be impossible for them to carry out that agenda unless they can get people in place,” said Jeffrey Holmstead, an assistant EPA administrator under Bush. Adding to Trump’s challenge is an approach to personnel that at times appears haphazard; he abruptly asked 46 U.S. attorneys to submit their resignations Friday and immediately clean out their desks, leaving himself the task of appointing replacements around the country. Analysts say Trump’s approach also betrays a fundamental misunderstanding of how the government works. The personnel crisis has become something of a self-fulfilling prophecy, discouraging some experienced policy specialists from joining Trump’s government. Rodney L. Whitlock, a health policy consultant and former longtime aide to Sen. Charles E. Grassley, R-Iowa, said he considered the five-year lobbying ban a deterrent from pursuing a position with the administration.